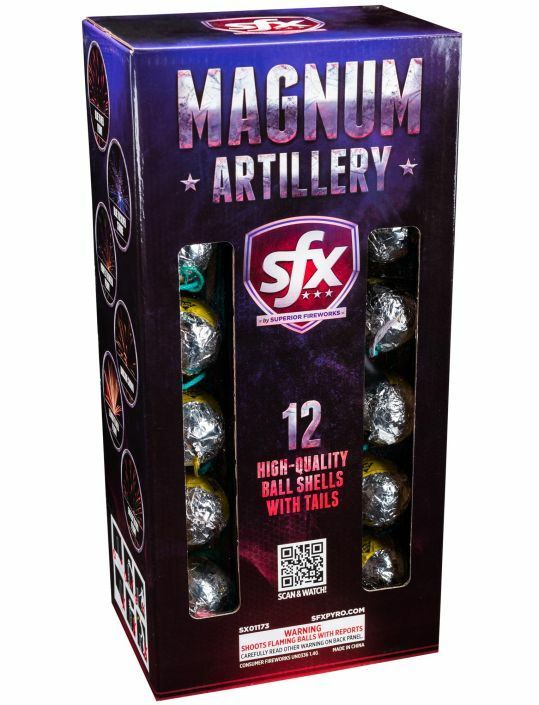 Description & Effects: Magnum Artillery shells offer 12 high-quality effects! Each 1.75″ ball shell fires with a silver tail to a large, symmetrical break. Worked like a charm. Medium explosion size. Good size for the money.